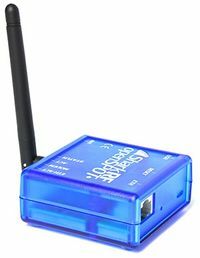 The product has been discontinued in 2018, a new version called OpenSPOT2 with wireless connectivity and more features is available now! The openSPOT is a standalone digital radio IP gateway / hotspot designed and manufactured by SharkRF. More info about the device is available here. There is an HTTP API available (info at GitHub) to connect to the openSPOT, get the current status and change every setting of the device. You can study a PHP example here . Also you can find more info in the openSPOT's user manual.